At Bachelor Cooking we believe that breakfast is the most important meal of the day, but lots of times our busy schedules force us to skip it. Here is a quick and easy recipe that will leave you feeling energized and ready for the day–without setting you behind. 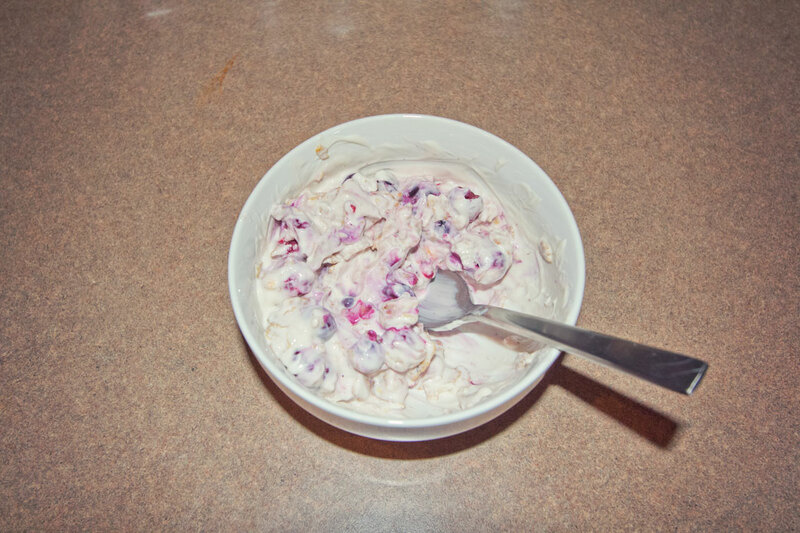 Pour your yogurt into a bowl. Pour in a small handful of mixed frozen berries. Top with your granola or cereal of choice (about a handful). Greek yogurt is important because its much higher in protein than normal yogurt. Use low-fat or no-fat yogurt if you’re counting calories. Berries are great because they have lots of nutrients (including fiber). Pick a cereal/granola without much sugar (the yogurt and berries are sweet enough). Be sure to visit Bachelor Cooking often for even more easy and delicious recipes.